Ehryn Torrell is a London-based Canadian artist interested in visual culture and the myriad ways it impacts human experience and shapes ideas. 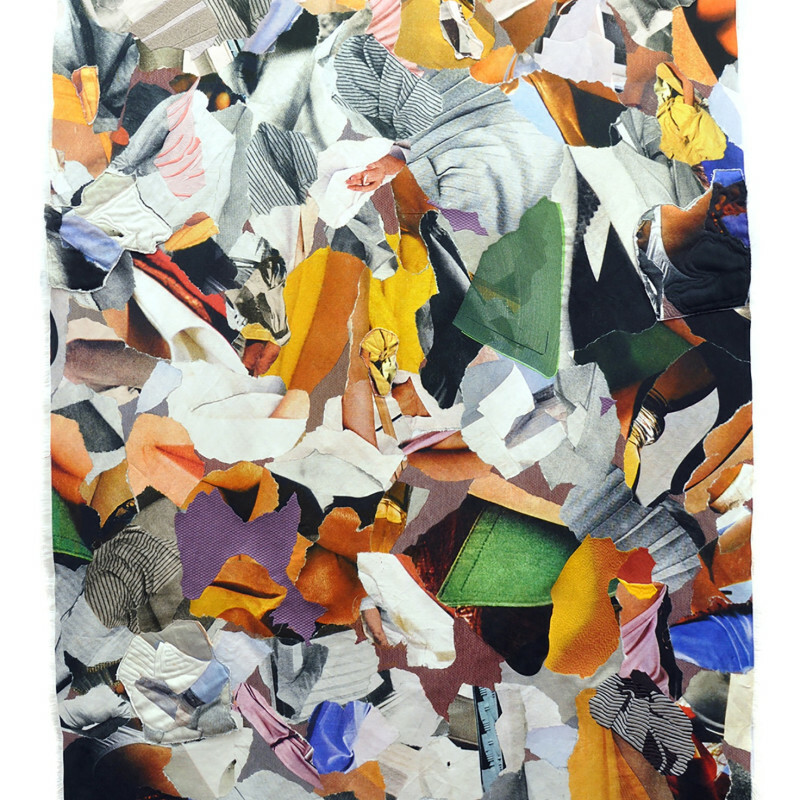 Collage is central to her practice because it makes use of existing images and, at the same time, It resists accepting the way things are by presenting new and alternative imagery through deconstructive and constructive methods. Painting, with its historic legacies, illusionary techniques, compositional devices, colourful and material presence, is also an important background to her work, whether it takes the form of paint on canvas, collage, embroidery or textile. Her research is informed by deep looking, histories, conversations, material play, and the work of artists, philosophers and scholars in feminism, cultural theory, architecture and critical race studies, particularly in the last century. Torrell’s work has exhibited internationally since 2001, including the solo exhibition Self-Similar, which toured in Canada to the Art Gallery of Guelph (2010), St. Mary's University Art Gallery (2012), and Cape Breton University Art Gallery (2013–2014), The Painting Project: A Snapshot of Painting in Canada by Galerie de L'Université du Québec à Montréal in Canada (2013) and exhibitions at The National Museum in Gdańsk, Poland (2019), Tianjin Academy of Fine Arts, China (2017-2018), Jiangsu Art Museum, China (2017), Art Gallery of Guelph, Canada (2016), Museu de Arte de Joinville, Brazil (2016), Gerald Moore Gallery, London, UK (2015), Grimsby Public Art Gallery, Canada (2013) and others. Her work has been supported through numerous awards, including numerous grants from the Canada Council for the Arts and Ontario Arts Council, as well as the 2006 Joseph Plaskett Foundation Award. She has been invited to numerous art residencies in Canada and Europe, including The Doris McCarthy Artist-in-Residence (Canada), The Expansionists (UK), Fiskars (Finland), Musagetes with the Macdonald Stewart Art Centre (Canada), Florence Trust (UK), Lademoen Kunstnerverksteder (Norway) and The Banff Centre (Canada). Her work has been collected privately throughout Canada, the US and the UK, and can be found in The Priseman Seabrook Collection, the Art Gallery of Guelph, and McMaster University. Ehryn Torrell is a frequent guest lecturer in art, with recent visits to the University of Brighton, Chelsea College of Art, Camberwell College of the Arts, Arts University Bournemouth, Bath Spa University and Manchester School of Art. In 2018, she delivered a paper at Painting the New: Teaching Painting conference, which was held at the Royal Academy of Arts. Her academic background is in Visual Art and English Literature and she completed an MFA degree at the Nova Scotia College of Art & Design University in Halifax, Canada. In Fall 2019, she will begin a practice-based PhD at the Royal College of Art.